Thanksgiving is over and after stuffing ourselves full of turkey, stuffing, pumpkin pie and everything on the dinner table, it’s time to start your holiday shopping for loved ones. As much as I’d love to recommend six cars that would make perfect Christmas gifts, I don’t think my wife or most spouses are willing to put a bow on a 2017 Fiat 124 Spider Abarth, 2017 Nissan Armada or any car for that matter. Instead, our list consists of six-ish toys and useful accessories that are perfect for the car enthusiast in your life – young and old alike. 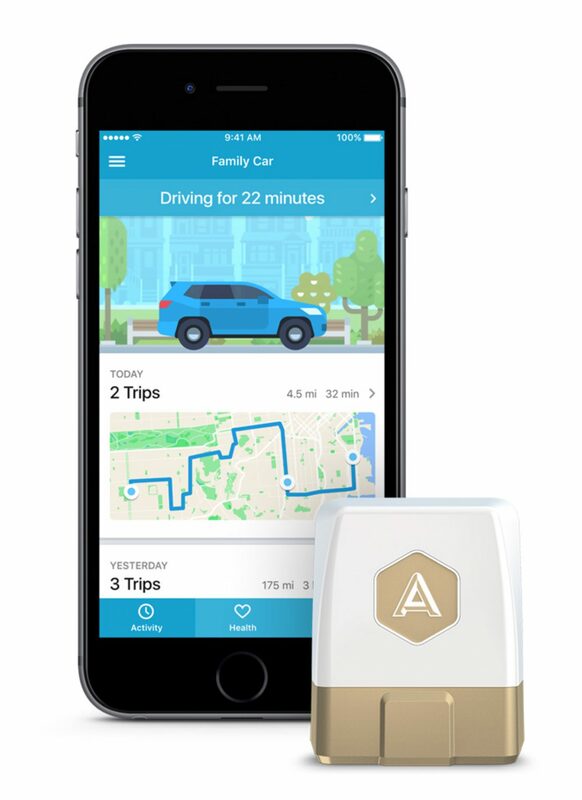 Automatic is a smart OBDII dongle that connects your car and smartphone together so you can decode error messages, track mileage and work with your smarthome. The little dongle plugs into the diagnostic connector found below the dashboard in every car sold in the US since 1996. Simply plug it in, download the app and connect your smartphone to it. It works with a variety of apps including Amazon Echo, Nest, If This Than That (IFTTT), AutoDash, Concur and more. It makes your car smarter so you can tell it to start warming up your Nest thermostat-equipped house when your car is within a certain radius of your house, track your fuel economy, ask Alexa where your car is parked, add more vehicle information gauges, or call a mechanic when you have a check engine light. There’s two Automatic dongles available – the Lite and Pro. The Automatic Lite provides all of the app-enabled features but requires connectivity to your smartphone via Bluetooth. Upgrading to the Automatic Pro adds a 3G cellular connection to sync data to your connected apps automatically, even if you forget your phone. The Automatic Pro goes beyond the app-connected features and adds a crash alert service to give you GM OnStar-like features for peace of mind. The Automatic Lite costs $79.95 and the Automatic Pro is $129.95. It rains a lot in the Pacific Northwest where the TestMiles team resides, so rubber floor mats are a must. WeatherTech makes a variety of high-quality perfect-fit floor and cargo mats for many cars so you don’t have to worry about dirtying your carpet. Pricing varies depending on your car and the type of protection you want. 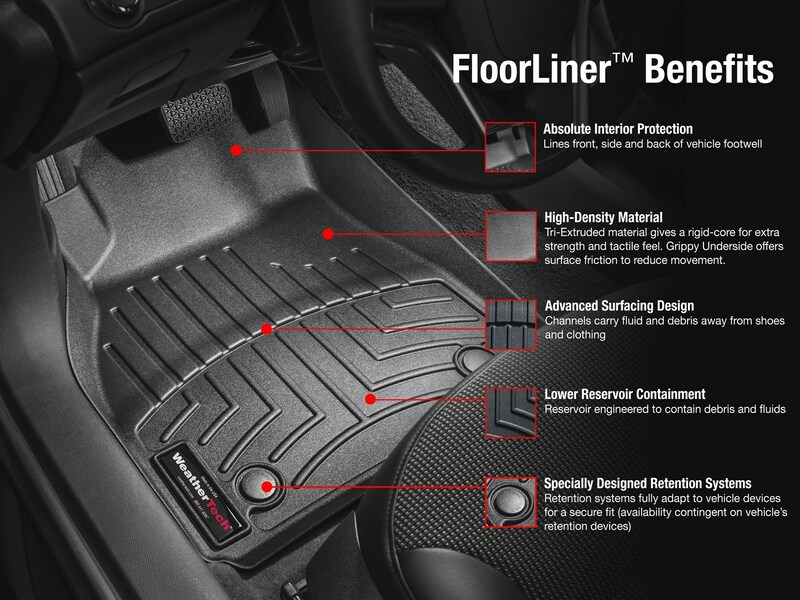 I recommend the FloorLiners because WeatherTech measures the exact floor mat area with lasers to ensure precise fitment. The FloorLiner costs around $200 for a front and rear set, but it’s the only set of floor mats you’ll have to buy for your car. There was a time when you had to use big and bulky jumper cables and another car to jump start your car if you had a dead batter. Then came the portable jump starters, but those were still too bulky to keep in your car. Anker makes a small jump starter that can fit in your glovebox. It even has two USB ports so you’re never left with a dead car or phone battery while on the road. There’s even a flashlight feature, too. 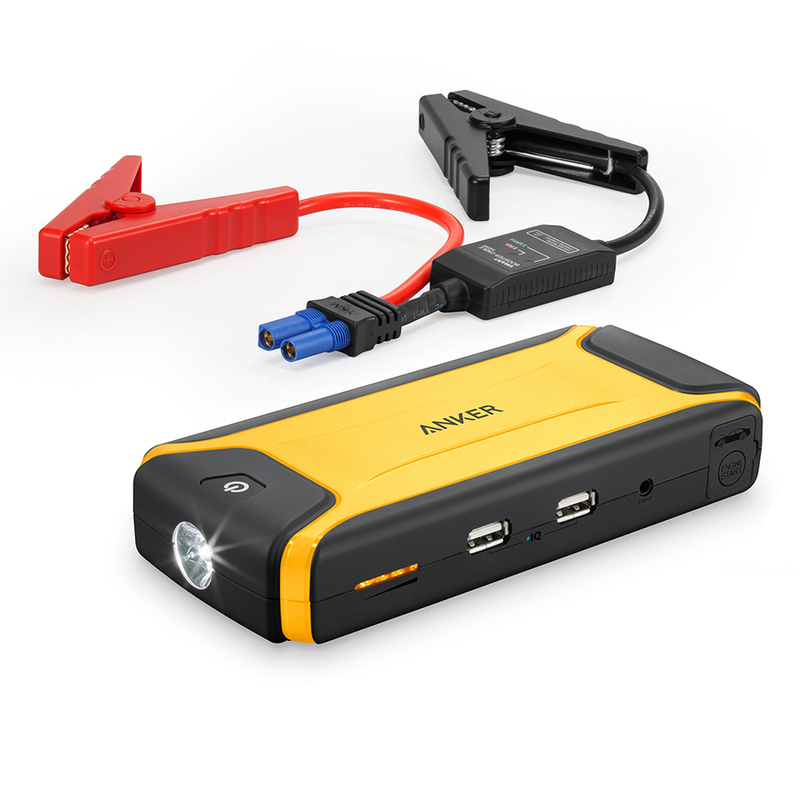 The Compact Car Jump Starter and Portable Charger can jump start your motor up to 15-times on a single charger, as long as the engine is below 3.0-liters for gasoline or 2.5-liters for diesel – so if you have a mid-size sedan or crossover utility vehicle, you’ll be fine. RAM Mounts makes a variety of mounts that can attach laptops, phones, tablets, GoPro’s and cameras to your car, truck, boat, motorcycle or kayak. The mounts are extremely rugged and keeps your device secure, even if there’s an accident. I personally use two RAM Mounts for the Nvidia Shield K1 tablets installed in the back of my Jeep Grand Cherokee. 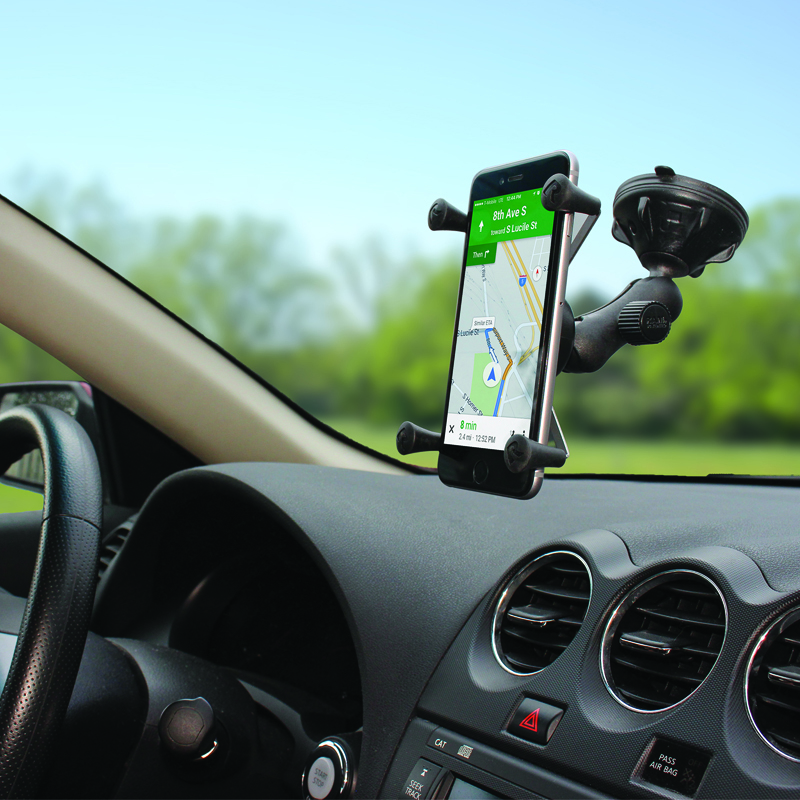 A complete phone mount for your car costs around $50, but RAM Mounts are like Legos, you can mix and match pieces to get the perfect viewing angle and mounting location for your device. Speaking of Legos, you can never go wrong with a car set. My earliest childhood memories involve building cars out of Legos and I still enjoy building sets at 30. 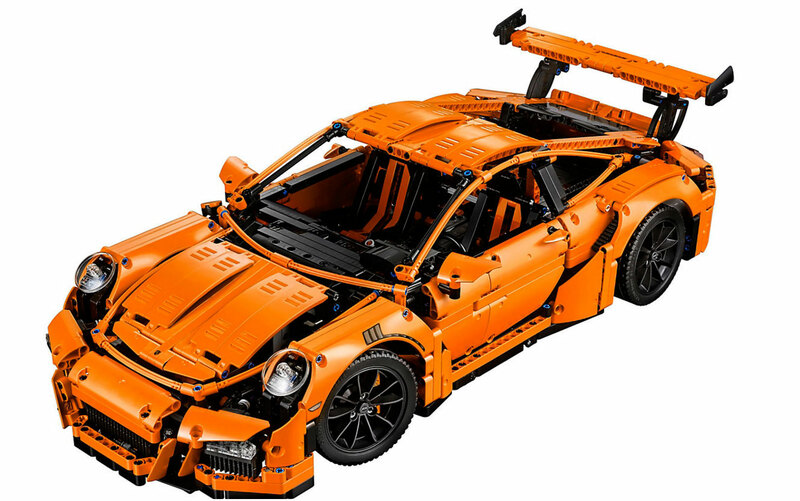 Lego makes a set for many popular cars ranging from $14.99 to $300. A few of our favorites include the McLaren P1, Chevrolet Camaro, Ford Mustang, Audi R18 e-Tron quattro, Volkswagen Beetle, T1 Camper and Porsche 911 GT3 RS. It’s hard not to love playing with Legos, regardless of your age. Most car enthusiasts probably had a or desired a remote control car as a child, I know I did. However, the RC cars you grew up seeing TV commercials for or saw at the local Toys “R” Us are simply toys. The hobby-grade RC cars are a different animal – you don’t have to throw it out after getting it wet or crashing it too hard into a wall, all the parts are replaceable. Axial Racing makes a variety of off-road RC rock crawlers based off its SCX10 chassis that gives you the off-roading experience in a 1/10th scale size. The rock crawlers only go around 10 mph, but that’s plenty of speed to play at the park or take with you hiking. The licensed rock crawlers include a 2000 Jeep Cherokee, Wrangler and RAM Power Wagon. If you want something with more speed, Axial offers the Yeti series, which include a Baja-style SCORE Trophy Truck or the plain Yeti rock racer. 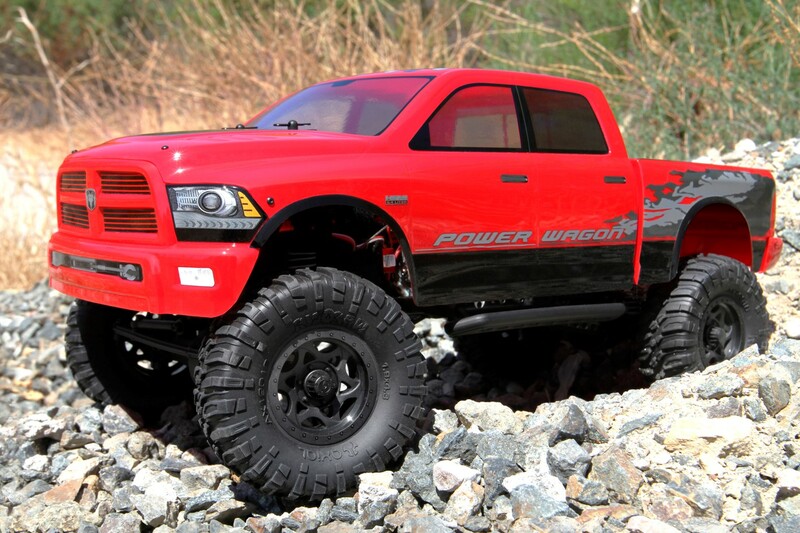 There’s a variety of different Axial Racing RC cars catered to your needs and wants. I personally have an SCX10 II 2000 Jeep Cherokee kit that I built, a Wrangler G6 Falken Edition and Yeti. My wife and kids enjoy playing with the cars as well. Pricing varies, but you’re looking at around $300 for a ready-to-run (RTR) car, and $50-100 for a battery and charger. Axial Racing offers kits to assemble, but those require the purchase of a motor, speed controller, steering servo and radio/receiver separately. And that wraps up our holiday gift guide for car enthusiasts. Happy holidays!